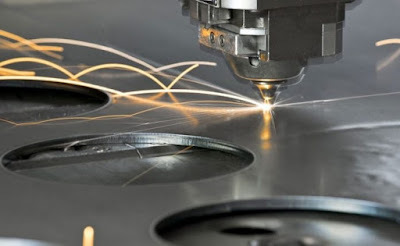 Laser cutting is to be known as the process of cutting or engraving material with high powered laser beam by CNC machine. When u allow a Laser beam to emit through a laser tube & current will pass through it, Then it reflects off mirrors points the beam through focal lens in machine head. The Lens then focus the laser beam towards the surface of flat sheet material, melting, vaporizing provided with the machine. Vector Cutting is the process of full cut material following the vector line in CAD. This CO2 type laser cutting can through variety of materials, Different types of material cut by CO2 laser cutting includes very thin paper & textiles, plywood, MDF & upto 10mm acrylic plastic. & it also depend on the material quality you intend to use for laser cutting. It is a type of plastic material, which is most common for laser cutter. The substance called acrylic is actually derived from acrylic acid or related compound. Mostly often acrylic is known to be a glass, which is known as poly-methacrylate (PMMA). Acrylic is extruded into sheet of various thickness, color & transparency. Acrylic is available in wide variety of colors & thickness, they are of light weight & you can also laminate the sheet easily. The negative points of acrylic is, they are quiet expensive, brittle & easily scratched. The most common material for laser cutting is wood. Some of the people think that if wood will cut through laser it will catch flame. The laser need to blow air on the cutting area, this keeps the area cool & remove heat from the wood so that it doesn’t ignite. Great product for the laser Cutting is MDF. Because it is manufactured & the more consistent material than wood is MDF. So performance of MDF Laser Cutting under the laser is more predictable than wood. MDF cuts well. MDF Engraving gives a more 'fuzzy' result. A very beautiful result can be seen on Glass that is etched on the laser By Glass Laser Cutting rocess. This includes bottles (both full and empty), drinking glasses, and plain flat glass.